It was a movie that became a cult classic. Tron – The story of Kevin Flynn who tries to figure out if ENCOM stole his game ideas. While hacking into the mainframe, the company sets a trap where Flynn gets sucked into the video game. The movie debuted in 1982 along with the video game by Bally. 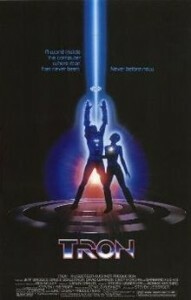 Tron starred Jeff Bridges, Bruce Boxleitner and Cindy Morgan. It took 17 million to make the movie, it grossed 33 million in return. Tron’s sequel of sorts – called Legacy – was released on Dec 17, 2010. Unfortunately, it did not receive the same status as the original did.